Occurred yesterday and this morning. 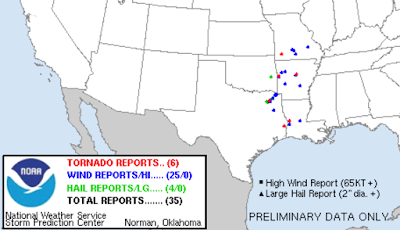 Tornadoes are indicated by the red dots. Blue dots are reports of winds of 58 mph (50 knots) or higher. 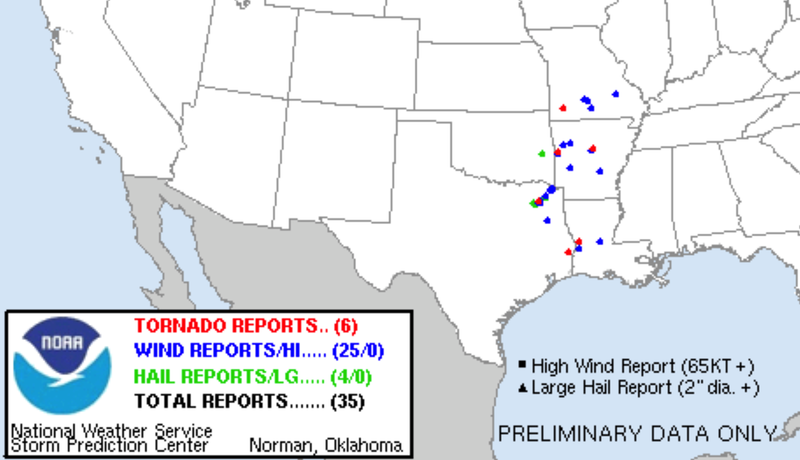 Hail reports are green dots.